Your piano is not just a piece of furniture; it is also an instrument with significant sentimental or financial value. It needs to be transported with the utmost care! The best movers you can hire to do it is Verrazano Moving and Storage. Our piano movers Staten Island know how to transport and store your precious instrument no matter if it is a small spinet or a 7-foot parlor grand. With our experience and knowledge of piano moving techniques, you can be certain that your piano will be moved to a new location safely and undamaged. Contact us today for any questions you might have. What makes Verrazano Moving and Storage the perfect piano movers Staten Island? Our experience has been built for over three generations. Our staff is qualified for both commercial and residential moving services. 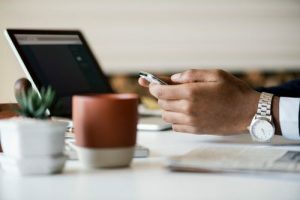 Moving locally or moving long-distance? We can make any moving request happen. Which means you can relax. Your piano will be relocated with the utmost care and diligence. What do professional piano moving services include? Being a piano owner, you must know how heavy and bulky they are. Also, how delicate all musical instruments can be. This means moving a piano can be a complicated task. But no task is too complicated for Verrazano Moving and Storage Staten Island. So what can you expect after finding suitable piano movers Staten Island? Do you need to prepare your piano? What will the movers be doing before and after the relocation? You probably have many questions. Not to worry, we are here to answer all of them. Upright pianos normally do not require disassembly. However, if your piano is a baby or a grand concert piano, it needs to go through some moving preparation. This should not concern you. Our experienced movers are prepared for this task and your precious instrument will be safe. After removing and separating piano parts, we will carefully wrap them. We will treat each part of your instrument with care. Although it does have wheels, it’s best that you do not attempt to move your piano on your own. Piano movers normally use a piano dolly when moving this instrument. This piece of equipment, along with any necessary padding, makes it easier for our movers to move your piano safely. This means that you can rest knowing your piano will remain undamaged. Verrazano Moving and Storage Staten Island have the means to make it happen. Not all homes have a spot for something as big as a piano. Perhaps you cannot find a place for it in your new home. Or you just need time to figure it out. We are here to offer our secure storage facilities. We will find the most suitable storage unit for your instrument, whether it’s short term or long term storage. Our facilities are safe with 24-hour video surveillance. 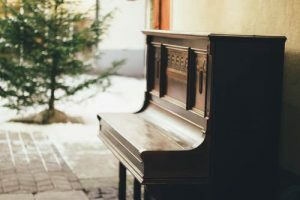 So until you find a new spot for your piano, you can be content knowing it is safely stored. We at Verrazano Moving and Storage Staten Island mean it when we say we offer comprehensive moving services. Our skilled and experienced staff is there to reassemble your piano after they move it. You just need to decide on its exact location and we will make it happen in no time. All you need to do is wait for Verrazano piano movers Staten Island to finish. And then you can relax because it’s time to enjoy your piano’s music once again. So even though new technologies are taking over and people don’t buy pianos as much, at least you know your piano is safe with you. We all know just how valuable musical instruments really are. It’s not just their actual, but their sentimental value as well. Perhaps your piano has been in your family for decades. Perhaps your instrument is a part of your heritage. Or you are a professional musician trying to relocate to a new home. Whatever your situation might be, you do not want to trust something as priceless as your piano to an unreliable moving company. So if you wish to relocate your instrument and you still can’t decide on which piano movers Staten Island to choose, contact Verrazano Moving and Storage Staten Island. We’ll provide any information you might need. And we will try to make the best possible arrangement for safely moving your piano. 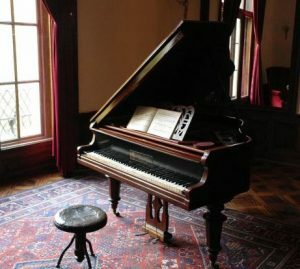 Get the best treatment for your piano: Hire piano movers Staten Island! You want your piano is handled by experienced professionals. Our movers have the skills and services to transport your piano safely. We are dedicated to providing you with the best moving plan for your piano relocation. We respect the fragile nature and sentimental value of your instrument, that’s why we make a customized moving plan to satisfy all your needs. You can count on us! Give us a call today!